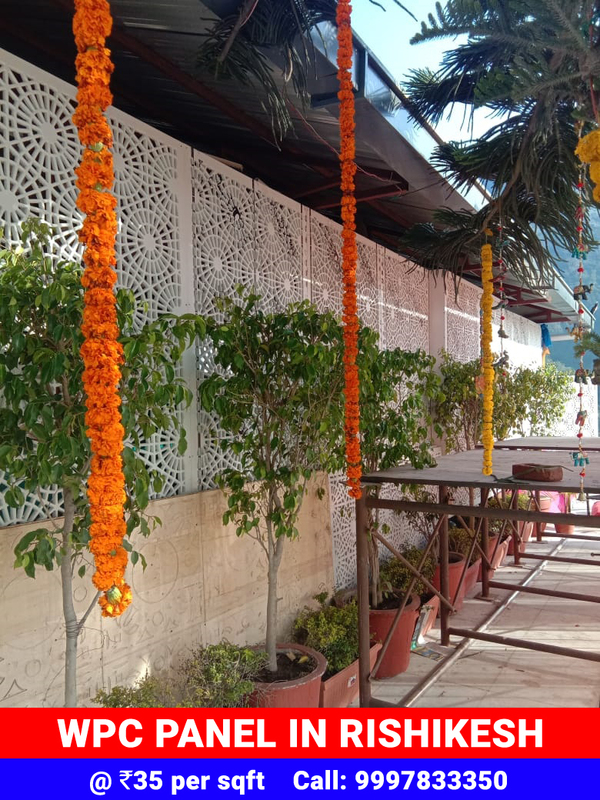 Divine Resort is very beautiful in itself but we have a good fortune that we got an opportunity to work with Vijay Bisht Ji. There was some area in the resort that was covered, which seemed awkward. Which we have covered with the very best quality material. In this WPC Paneling work, we have used the Alstone Company’s Eco Sheet. It costs more 40 rupees from the normal material that costs Rs. 90 per square feet. We have used it because it has a good finish and whiteness. 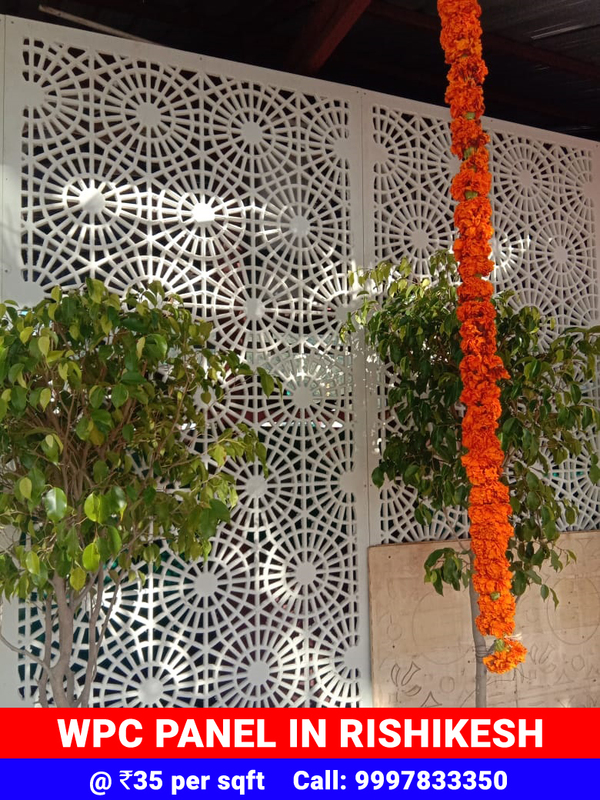 Most used materials in jali and paneling works ware MDF and WPC. In this, MDF is used in the interior and in exterior, WPC is used because it does not have the effect of rain and moisture. Normal life of WPC is 10 years. The design that was given in it was finalized after a considerable change. It was Vijay Bisht ji, who was the finalist, he knew a lot about all the things he knew more than we knew about everything. Working with them, we got to learn a lot myself, in this work, we took more time, even a week more than the time was given. Because the extra tool was used to round its corner, in which every panel took 2 hours extra time. 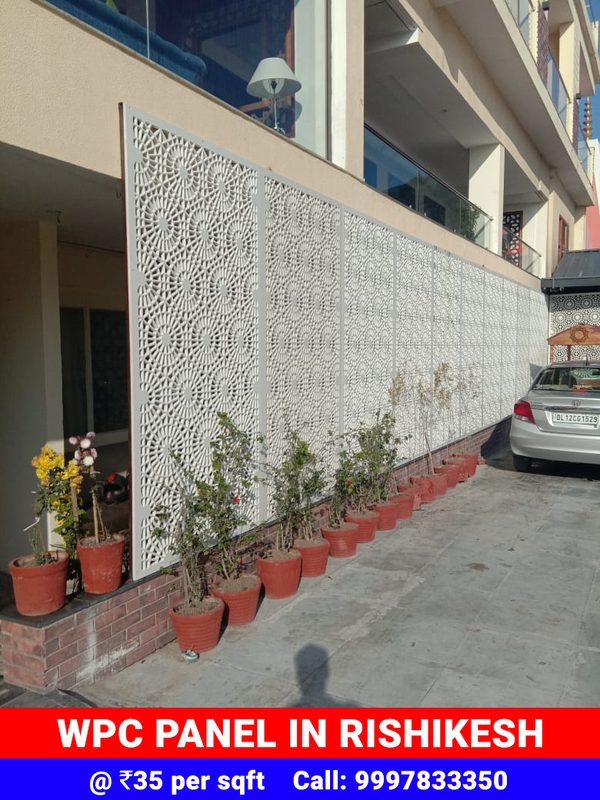 The total cost was Rs 175 per square feet. The work was more than 1000 square feet, so we did not take any extra charge for installation. We also charged for cartage something like Rs. 4000. If you want any paneling work for your home or commercial complex feel free to call us. 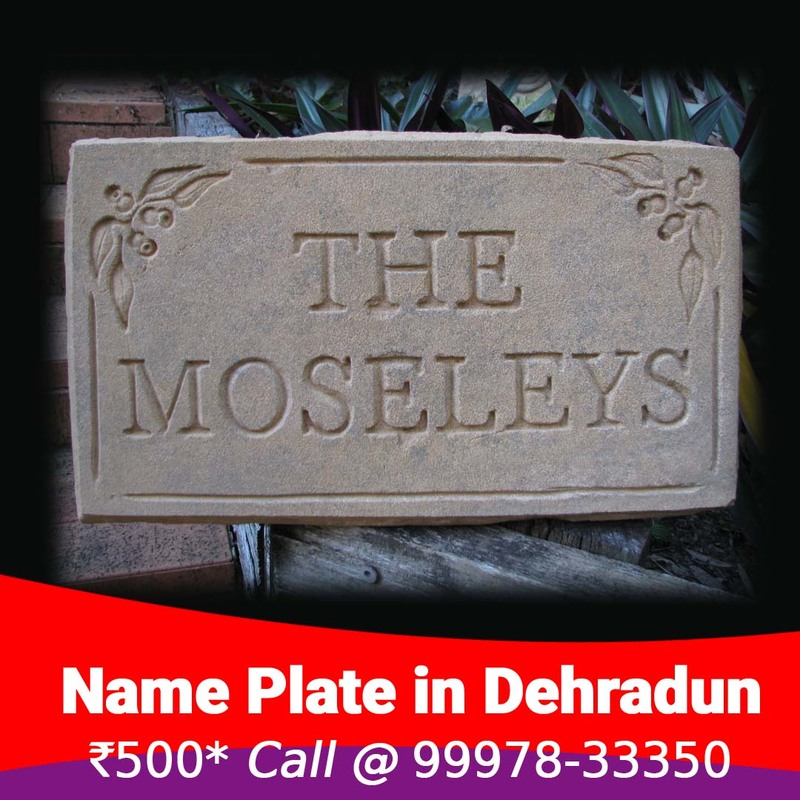 We also provide CNC, WPC, HPL, Acrylic, 3D Letter material at best possible rates in Dehradun. If you have any query regarding designs or want to see some samples feel free to call us. Contact in office hours 10:00 am to 6:00pm. 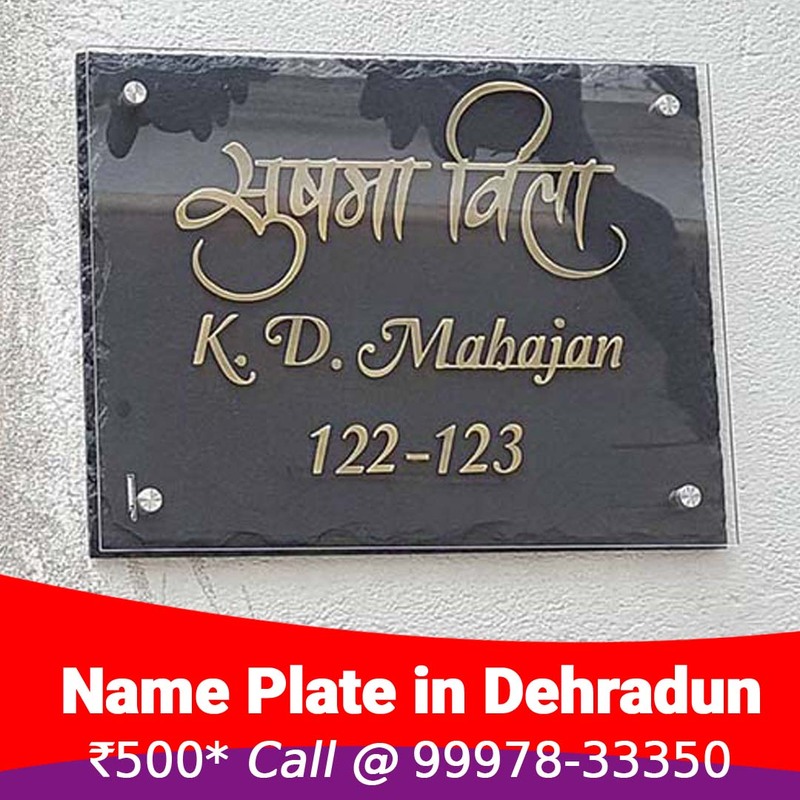 Our satellite office is located on Rajpur Road, visit us for best understanding. Click here to check our previous works and available services. Feel free to call at 99978-33350 (Mr. Sumit Pundeer) to schedule a meeting with us or at your place. Thanks for your time, we will highly appreciate if you will share these information in your network. 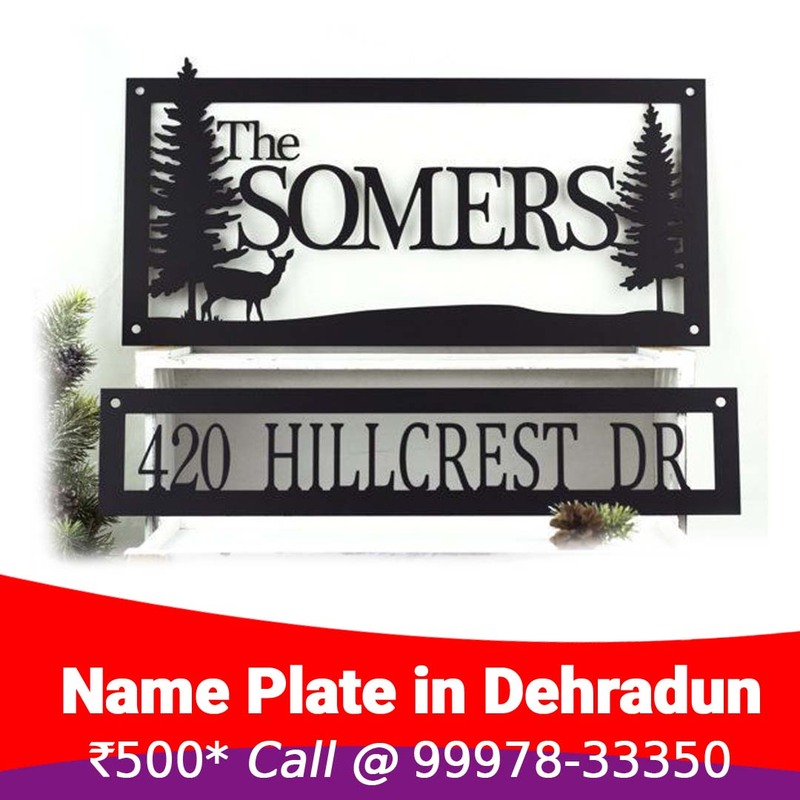 Call Sumit Pundir at 9997833350 for designer name plates in Dehradun. All materials available like wood, acrylic, stone, steel, iron, engraved, fiber and custom options available. In this plate you can write in any language you want. 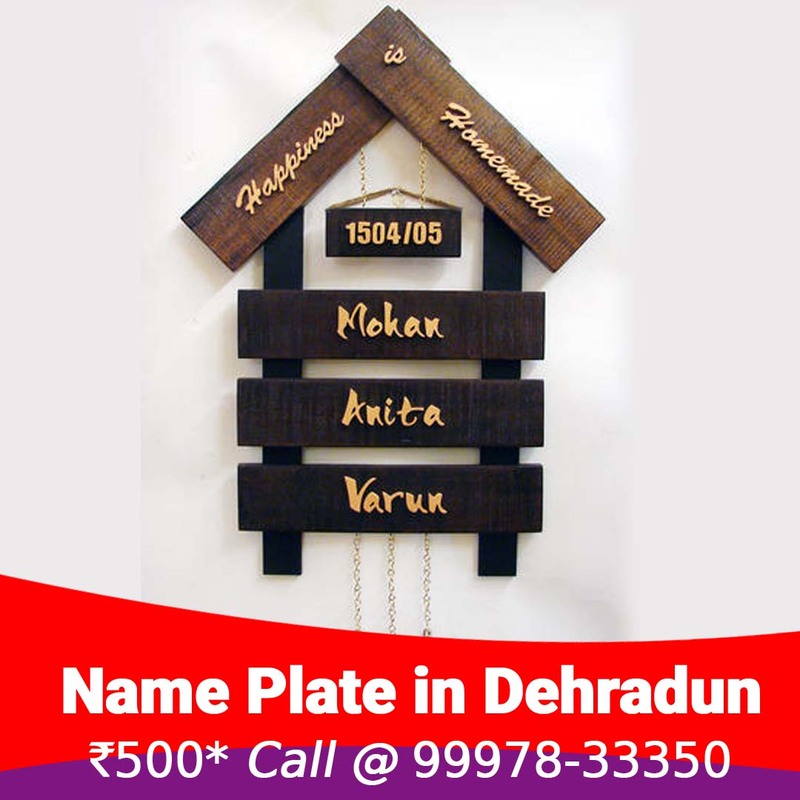 If you want to make some special designs too, that too will be made. In the design that we see, we have used the stone sheet, and used CNC cutted letters on above. In this plate we have engraved on the top, whatever color you want we can provide you. We used SS Steel to make this plate. This special shape is cutted with special tools. In this we used the alphabet of golden color. We have used this amazing material to give it a rough look. It’s a bit expensive. 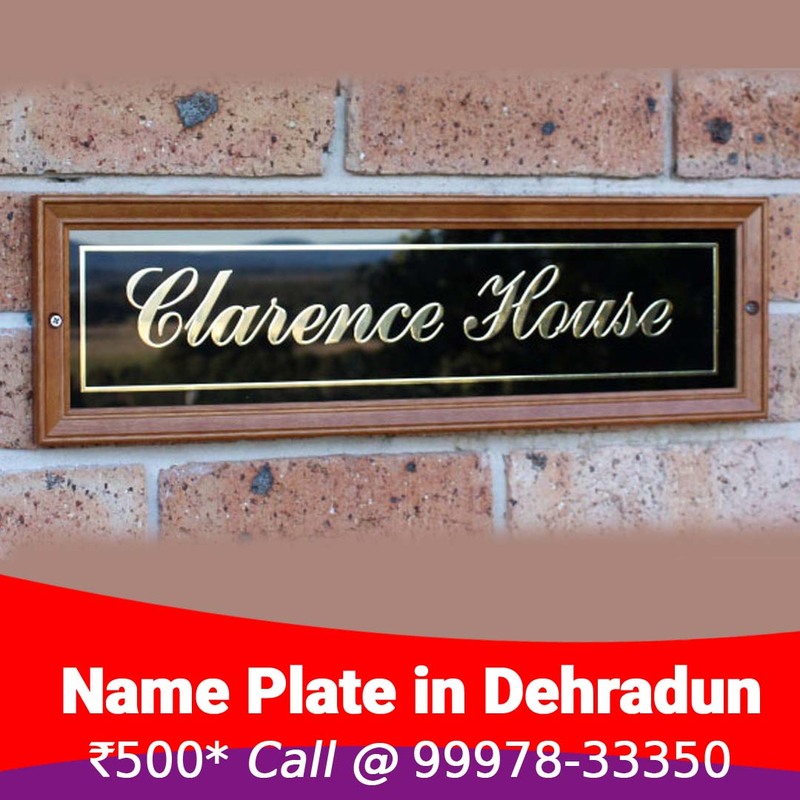 In this plate we have used wooden finish and cutted the letters with acrylic shape cutting machine. If you want something different or give a reference image, then we can develop it too. 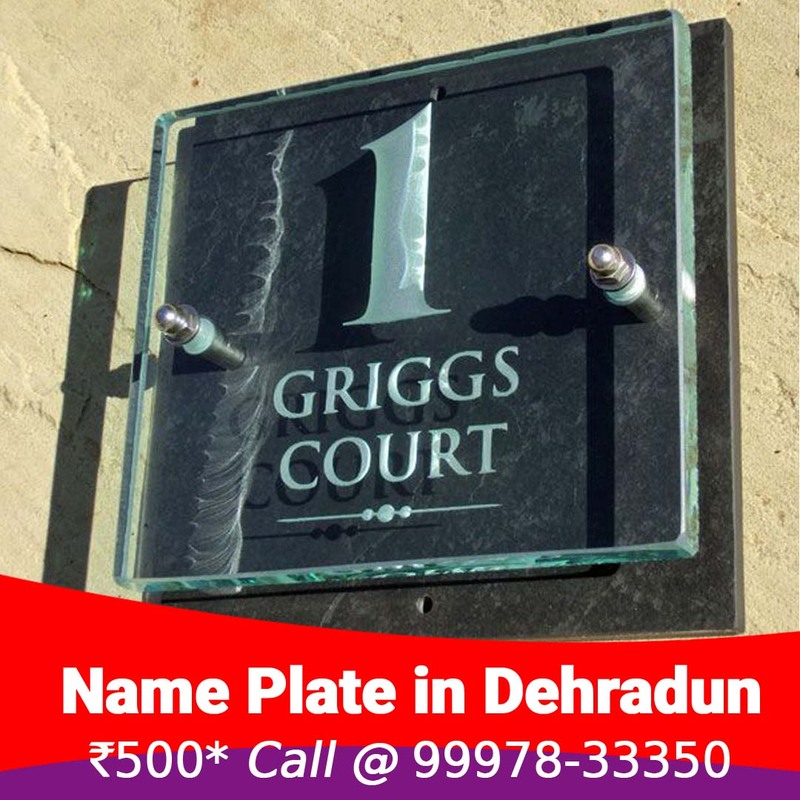 The earliest price at which it is priced is 1000 rupees. In this we will not even take the charges to visit you. If the installation is a bit typical then it will have to pay extra money.